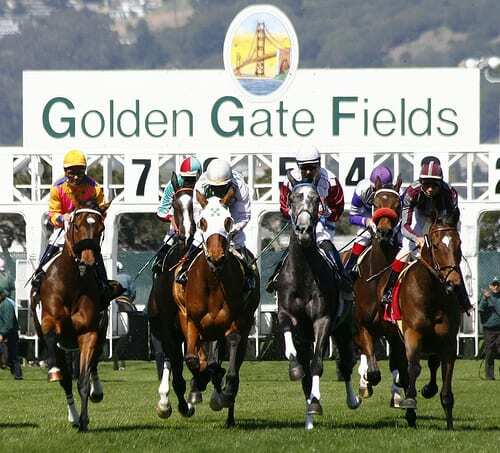 Golden Gate Fields will open its 24-day Summer Meet this Thursday and in an effort to offer fans increased field sizes, purses have been increased $2,000 for all claiming races run for a tag of $16,000 or less. Both Golden Gate's main track and turf course have undergone routine renovations and are in pristine condition heading into the Summer Meet opener. Fans and horsemen will also be greeted with a brand new Golden Gate Fields Winner's Circle which will include all-new landscaping and a platform where the winning connections can pose for pictures. With the exception of Labor Day, Monday, Sept. 3, live racing will be conducted on a Thursday through Sunday basis, with first post time each day at 1:45 p.m. PT. The meet's main event, the $50,000 Rolling Green Stakes for 3-year-olds and up at a mile and one sixteenth on turf, will be run on Labor Day. The track will also once again offer popular 50 cent Pick 5 wagering, with the early Pick 5 comprised of a 14 percent takeout, as well as the $50,000 Late Pick 5, which features a guaranteed pool of $50,000. Golden Gate has also announced that its popular Dollar Day Sundays will return beginning Aug. 26. Dollar Sundays offer fans one dollar General Admission, parking, hot dogs, beers and mimosas (must be 21 years of age). This entry was posted in The Biz and tagged california racing, Golden Gate, golden gate fields, Northern California racing by Press Release. Bookmark the permalink.